Why? Because he’s half wood and half man. 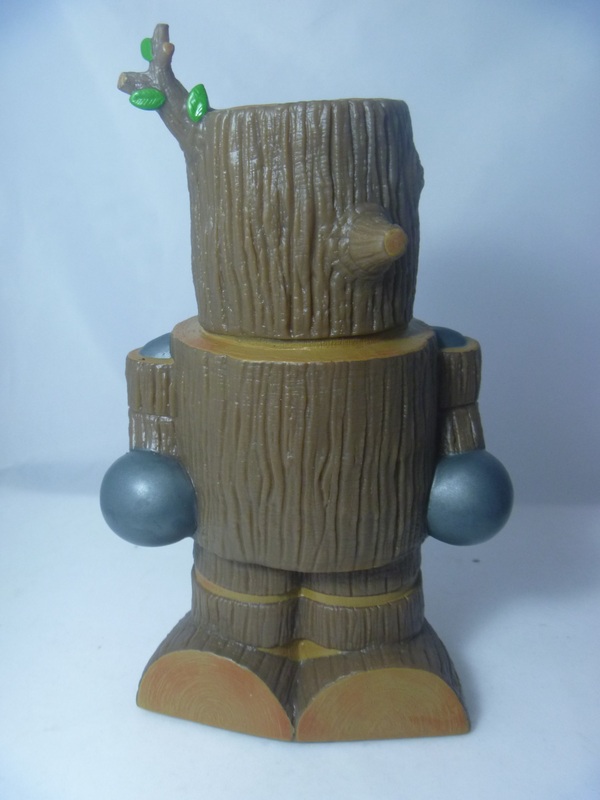 I always liked how he has a single leaf growing on the wood part. Other than that, there is very little on this figure to discuss. It’s quite a simple sculpt, there is no expression on the face at all. There’s not really a face. 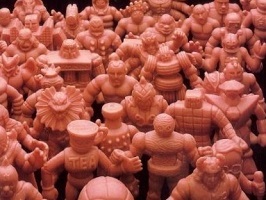 What makes it worse is that there are no other Japanese Kinnikuman lines that showcase this figure. 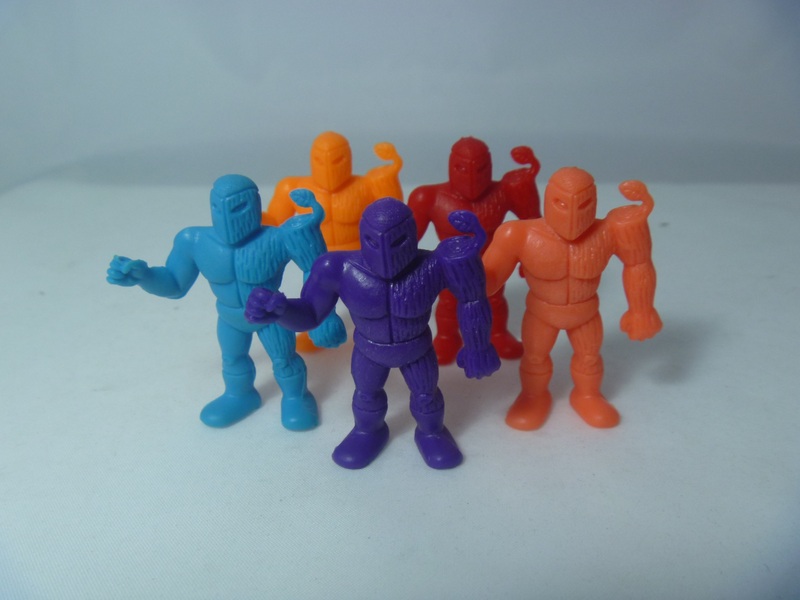 So the M.U.S.C.L.E. figures are all I have. I can’t see how he would be a good wrestler. I guess he’d just turn to one side so the opponent would have to bang on wood. He actually reminds me quite a bit of the Tekken game character Mokujin. 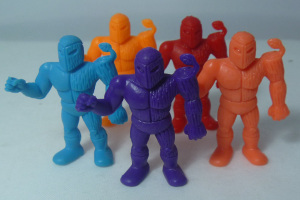 Now, as I’m writing this, I’m thinking that M.U.S.C.L.E. #115 is more like Mokujin. Aah, they’re both tree-like people! There has been a lot of Class A action recently which always amuses me as the whole designation of Class A isn’t even set in stone. This figure is a prime example. It is in the same tree as Buffaloman #2. This means it comes in the exact same colors. The Purple #2 is designated a Class A – if this is the case, then so should the Purple #100 (and the others on that tree). 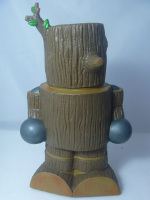 Personally, I don’t care – I just like to have figures I like in all available colors which “Woody” is a part of. Yes, I like this figure. It was one of 2 figures (the other being #163) that were the absolute favorites of my best friend as kids. If your friend likes it, more often than not so do you, especially if you’re 10 years old. So enjoy Bam Bam Ji until next week. This entry was posted on Monday, September 19th, 2016 and is filed under UofM News. You can follow any responses to this entry through RSS 2.0. You can skip to the end and leave a response. Pinging is currently not allowed.